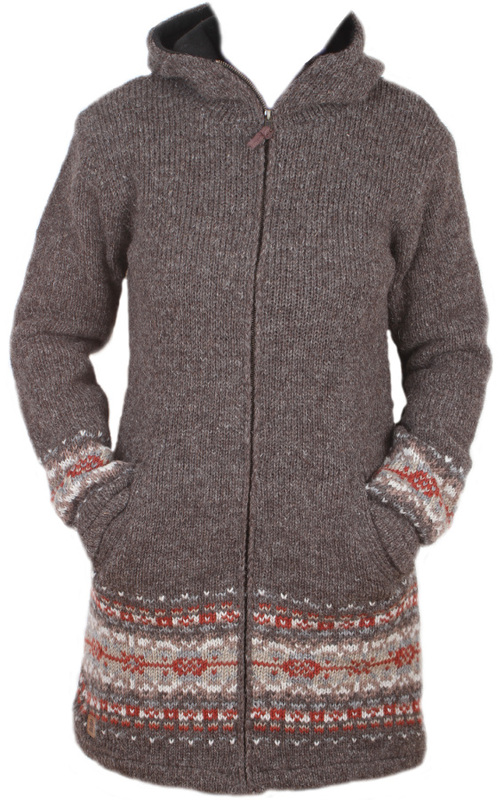 Knitted by hand with care, this Helsinki coat is a great way to keep warm while looking your best. 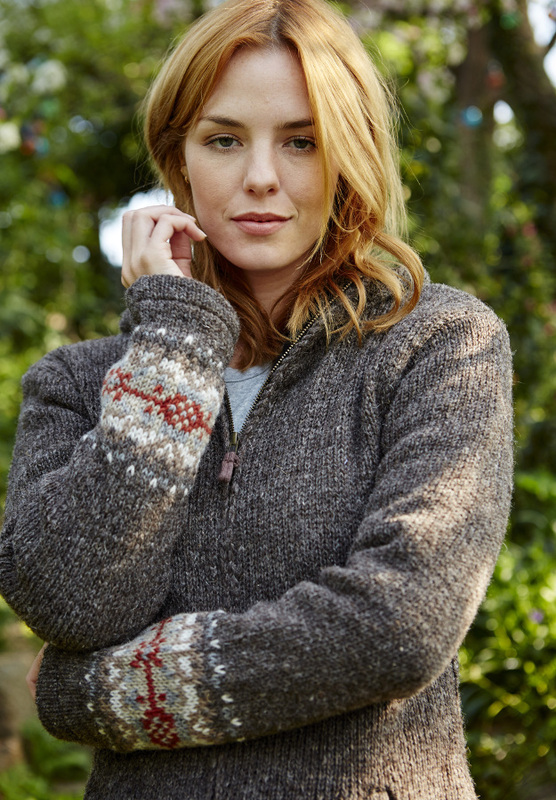 The hood comes lined with fleece for added warmth and a high neck to keep you well covered. The cuffs and hem also come with a stylish print to give you a truly eye-catching winter look. Handmade by villagers who are paid above the local wage, receive benefits and are treated with respect. Pachamama donates to charities whilst also having respect for suppliers and the environment. They also support Net4kids who invest in practical, sustainable products to benefit underprivileged children, helping with education, housing, personal development, and many more. This is where opportunities are created for the children, all the way from Kenya to India. Med measurements : Chest -100 Waist-88 Hips-112. Packaged in an Individual polybag. Fairtrade-BAFTS , Support a Charity, Handmade in Nepal. 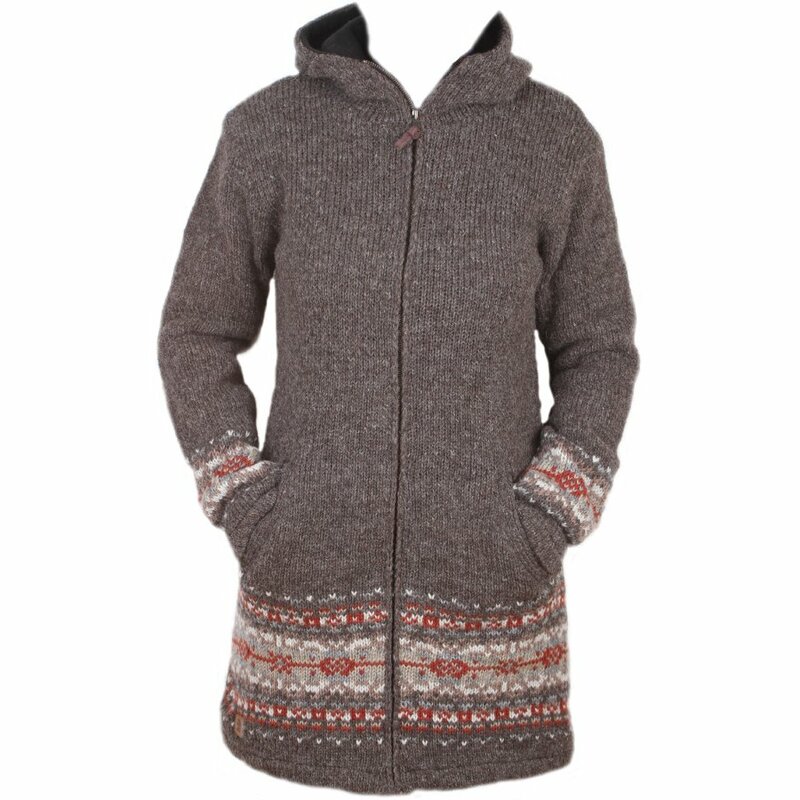 There are currently no questions to display about Womens Helsinki Coat - Bark.